Many years ago, cellist Heinrich Schiff recorded an encore CD with pianist Samuel Sanders. I had had piano lessons with Schiff's mother when I was very young, and I was lucky enough to be able to follow his playing career from the very beginning in the late 1970s to its end 35 years later. Heinrich Schiff's cello playing and musicianship has always been a great source of inspiration for me. One of the many gems of this particular recording is a version of Paganini's "Cantabile" for cello and piano, and I have loved this pieces in the cello version ever since. 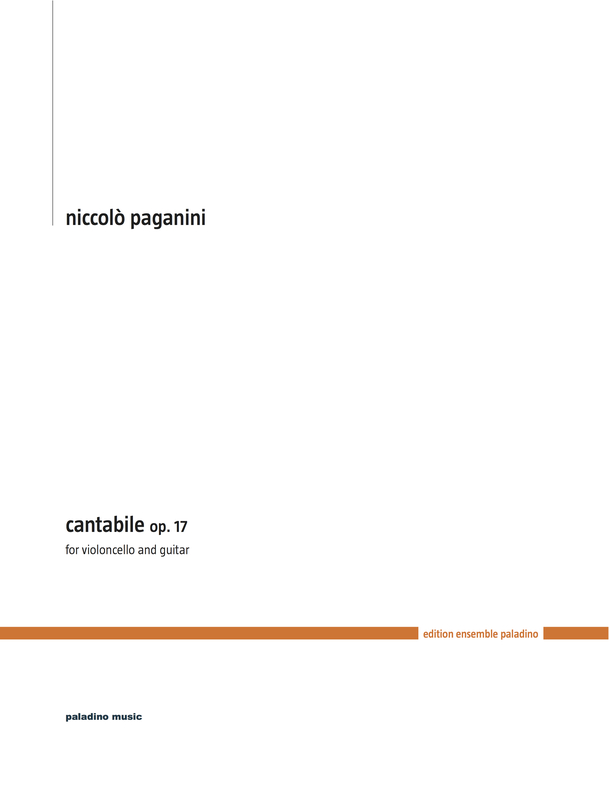 When I talked to my dear friend Alberto Mesirca in 2007 about repertoire for a concert at the Wiener Gitarrefestival, we decided to do the Paganini "Cantabile", and I am grateful to him for helping me with the transcription. I am particularly happy that it is now available in print.